I have practiced law since 1980 and am admitted to the Bars of New Jersey and New York, with offices in both states. Although I continue to maintain a traditional family law practice, my true professional love is to help resolve cases peacefully through collaborative law and/or mediation. In the 30+ years that I’ve been in practice, concepts of divorce have radically changed. Originally Court outcomes concentrated on blame ,with results reflecting gross inequalities in custodial rights and finances. Now most of us recognize that a truly successful divorce requires that everyone comes through the process with intact lives, important needs fulfilled, dignity and respect. The roots of Collaborative Practice are in those understandings, free from adversarial origins. Collaborative Practice reorganizes the family but does not “break” it. Children of divorce can thrive only where they are protected from parental conflicts and Collaborative Practice does this well. 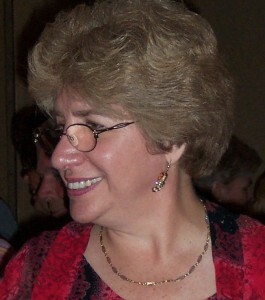 One factor leading to the success of Collaborative Divorce is its recognition that every family is unique and has its own culture. Both personally and professionally, I live in a very diverse world and am sensitive to the fact that one-size-fits-all definitions and solutions are not appropriate. Ethnicity or race, impact of immigration, educational values, religion and degree of religious observance, whether the family is gay or straight, number of children and size and location of extended family, existence or lack of adequate financial resources, parents’ jobs or careers, disability in a child or one of the parents, presence of a grandparent in the home – these, among many other things, are all factors which can create special needs and impact how a case is settled. I am thorough in learning about my clients’ lives, values, needs, realities and priorities and respect that they are the ones with expertise about their families. In addition to my thorough familiarity of Family Law, I am also very knowledgeable about the other legal issues, such as real estate and wills, which can affect families at the time of divorce. 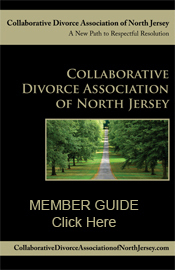 I would be happy to explore whether it is possible to consider Collaborative Divorce in your particular situation.